Vietnam Television (VTV) has won the rights to broadcast all 28 matches of the 2018 AFF Suzuki Cup, which is scheduled for November 8 to December 12, as announced by the Vietnam Football Federation (VFF). Accordingly, Lagardère Sports, the official football supplier of the 2018 AFF Suzuki Cup, agreed to sell the broadcast rights to VTV, Lao National Television (TV Lao) and the Radio Television Brunei (RTB). By promptly acquiring the broadcast rights of the most prestigious football event in Southeast Asia, VTV has redeemed itself after disappointing domestic sports lovers for having failed to obtain the broadcast rights of the 2018 Asian Games in Indonesia. 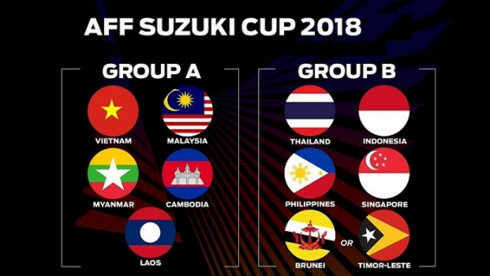 From 2018, the AFF Suzuki Cup will apply a new playing form, with both home and away ties, aiming to provide the participating teams with more matches and allow fans to support their national teams on their home field and directly watch matches via the television. In Vietnam, VTV plans to broadcast all 28 matches of the tournament, including the qualifier between Timor Leste and Brunei on September 1 and 8, as well as the group stage and knockout matches. Of course, the top priority for VTV will be to serve and help Vietnamese fans to closely follow the journey of Park Hang-seo and his players, after the Vietnamese squads, coached by the Republic of Korea tactician, have continuously shocked continental football with their success at the 2018 AFC U23 Championship (making the final) and the 2018 Asian Games (making the semifinals). Tom Smith, representative of Lagardère Sports for Asia, expressed his delight at the cooperation between Lagardère Sports and VTV, stating that VTV, TV Lao, and RTB have committed to providing high-quality sport content for all and promoting the passion for football in all of the three countries. Furthermore, all of the three television stations will broadcast matches for free to fans, which will help to bring the AFF Suzuki Cup matches to the largest possible crowd of viewers.